Имате въпрос към Balai Mestizo Travelodge? При посещение в Виган, в Balai Mestizo Travelodge ще се почувствате като у дома си, защото предлага квалитетно настаняване и отлично обслужване. Само на 1.1 km от градския център- това стратегическото местоположение на хотела гарантира на гостите си бърз и лесен начин за достигане до интересуващите ги точки на града. С удобното си местоположение хотелът предлага лесен достъп до всички градски забележителности, които задължително трябва да се видят. Balai Mestizo Travelodge също така предлага много съоръжения за обогатяване на Вашия престой в Виган. Хотелът е оборудван със съоръжения като паркинг, допускане на домашни любимци. Всички стаи се отличават с грижливо замислени удобства, което гарантира неповторимо усещане за комфорт. Освен това в хотела можете да се възползвате от множество предложения за приятно прекарване на свободното време. Каквито и да са поводите за Вашето пътуване,Balai Mestizo Travelodge е най-доброто място за престой, което можете да изберете в Виган. A huge house converted into a hotel, we got a big room with three bunk beds. The house had a vintage vibe, just like most houses in Vigan. No problems encountered in finding the place. Ample parking space at the back. The facilities are clean and well-maintained. Individual toiletry packs were also provided. I really don’t know why it has low ratings. Everything is nice. Value for money, staff attitude, cleanliness, location, parking, they even allow pets! Plus you can cook! But it’s better if you book through agoda because it’s cheaper. It's a literal house. It's like your renting a room with someone else on it. Bathroom is shared but does have hot water. Bed is great. Very homey place. Walking distance from calle crisologo. Parking is fine. I would definitely stay here again. I would recommend it to people who don't mind sharing the bathroom with different people. Worth every money spent. 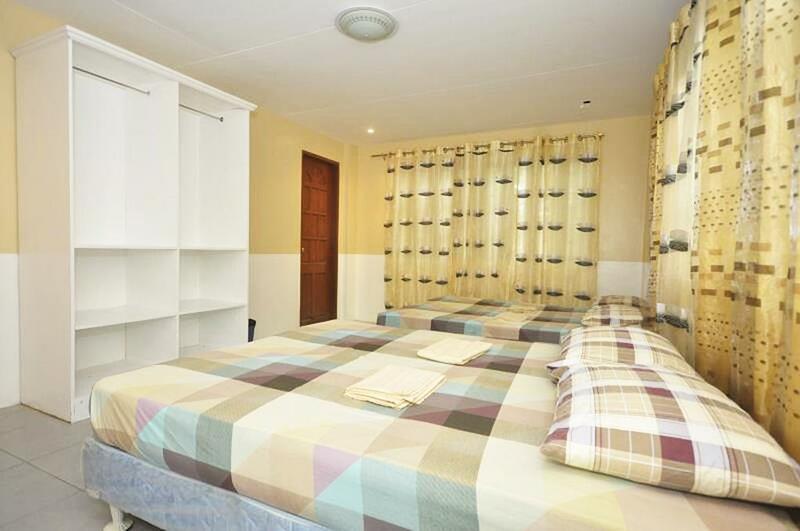 With the expensive choices in Vigan, it's definitely worth the money to consider this lodge. Just make sure you're not charged too much by tricycle drivers. 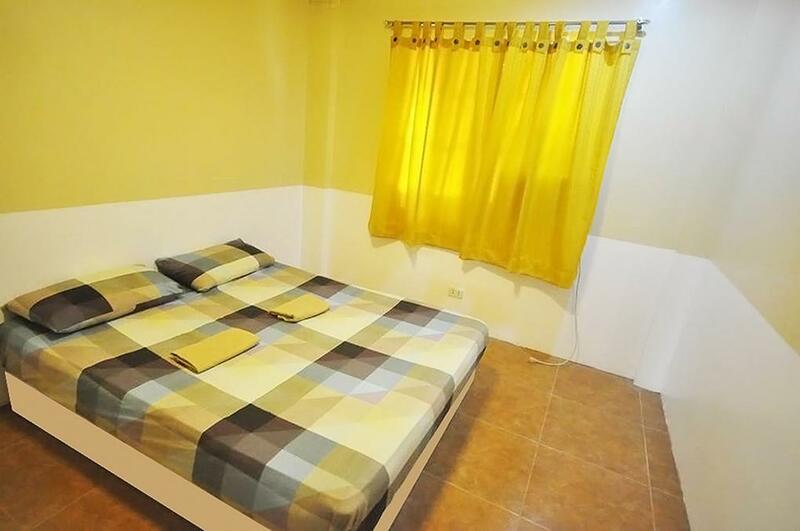 No frills – room with a bed, tv, air conditioner, dresser; shared bedroom – bring your own toiletries and towel. Vigan is a nice place, which can be explored in a day. Definitely worth visiting! In this hotel, almost good but sometimes not so. The way front of there is dark and some facilities likely toilets are much poor. hotel is a bit far from calle crisologo but if you don’t mind walking for 10mins this is the best place to stay as it is safe amd quiet.toilet is not that clean.toiletries and towels are provided.recommended for big family. Staffs are friendly and rooms are clean. We've got the superior room and the only cons are in small details such as: Aircon vents are damage so its hard to adjust Bath tub drainage lock is not working so you cant use it Bidet is working however you need to plug it the hose to the switch really hard to use it. Rooms are not sound proof so you can definitely hear the noise outside. Parking area is safe because it is inside the vicinity of the lodge so its really safe. Child friendly since we travel with my 2 yr old child. Recommended for budget travels either in family or group travels. We will definitely go back when we visit again vigan. Pros: sort of near calle crisologo. Staffs are friendly. Cons: dirty toilet, shared toilet and bath so if you come in group, you’ll have to wait for your turn not to mention there are other guest ready to beat the crap out of you to use the loo. I dont know if they’re not big on curtains because there’s a part of the comfort room where the sink is in (adjacent to the t&b) could be use as dressing room only if there is curtain in it as there is a huge window and there’s a house next to it. So yeah imagine yourself dressing there for the whole world to see?? Plus there’s a lot of mosquitos. Told the staff abt it but they said there’s no bug spray available. Can’t cook even if there’s kitchen. Address in the site is also wrong so we were lost getting there we had to call the number to give us direction. Even the local driver who was escorting was confused with the address given. Overall, if you can live with all that I mentioned, you can stay here. If not, then dont pick this place. Disappointing stay. We checked out on time ( at 12 noon) but the hotel charged us a penalty fee of 150 pesos because we didn't return the room key on time ( 20 minutes after noon). Their reason - another guest is checking in soon. We arrived at the hotel at 10 a.m. but they didn't allow us to check in until 2pm, which is the standard check in time. And now, they're telling us that they need the room key asap because a guest is checking in soon . Bear in mind that the check in time is 2pm and we returned the room key at 12:20pm . I'm sorry but you lost a customer. Just a 5 min walk to Calle Crisologo. Good place but not near to any fast food resto. but it is a quiet place. relaxing. I look the hotel as a very nice and affordable for those travelers who are lookinh for a cheaper hotel and luxurius facilities and very convinent hotel as well. Its quite near to Calle Crisologo, around 5-10 minutes walk (500m). Its clean but has no signal. I would recommend to my friends. highly recommended. only issue is the bed. kinda hard. stuff has no common sense. They watched tv loudly till after midnight and started to watch before 6am. They actually were very kind but that was it. If any hotel is available, stay away from this hotel. None of the windows were able to be closed / locked. All locks were missing / broken. - Had a window facing the street, on the ground floor, with none of the windows lockable. - Fortunately their sister hotel stood up and took care of us, thanks for that.